Brandon is the Director of Operations at the Missile Defense Advocacy Alliance. He is a graduate of the Monterey Institute of International Studies where he earned a Master of Arts in International Policy Studies specializing in Conflict Resolution. Brandon has professional experience in education, program development and team management. Additionally, he also has trained in grant and proposal writing and conflict mediation. He has an extensive educational background in International Policy, International Refugee Law, and International Development. Brandon has significant experience in working as part of culturally diverse teams to collaboratively work on different projects including extensive field research in Cambodia and Thailand focusing on peace building and human trafficking. Kyle is the Director of Government Relations at the Missile Defense Advocacy Alliance. He is currently finishing his Master’s degree in Defense and Strategic Studies from Missouri State University. Kyle has a Bachelor of Arts in International Political Studies and minors in Middle Eastern Studies, Asian Studies, and Global Studies from Drury University. 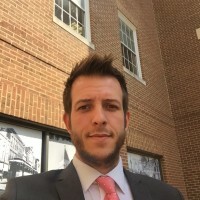 Previously, Kyle interned with the Sindhi American Political Action Committee (SAPAC) and was a Staff Writer for the Mirror, Drury University’s newspaper.